By far the most intriguing – and sometimes surprising – part of our interviews with sustainable tourism thinkers, shakers and doers is how their personal and professional experiences have influenced their views on sustainability and business. Justin Francis, responsible travel entrepreneur and founder of the World Responsible Tourism Awards, is no exception. 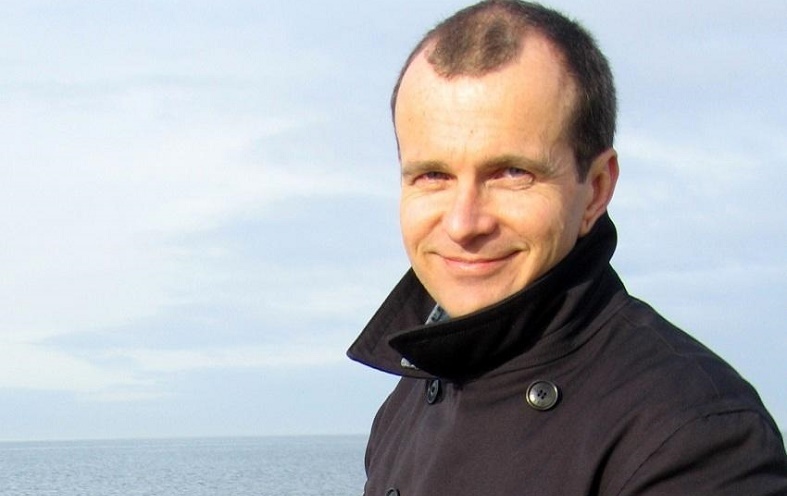 In this interview, Justin reflects on his professional career, which has started in advertising tobacco and sugary cereals, to becoming one of the most influential leaders and spokespersons for responsible travel and tourism. Which social media he follows to stay up to date on latest responsible travel insights and news. Justin, what was your view on sustainability when you started your professional career in advertising – was it a topic at all back then? I made ads to sell roll up tobacco and sugary cereals for kids. I wanted to win Awards, sell more tobacco and cereal, and develop my career. I gave little thought to people becoming unwell as a result. One day a brief came in to make some ads to show in China. Research showed Chinese people were unaware that the world’s last tigers were being poached so that their body parts could be used in traditional Chinese medicine. That really got me thinking about how advertising and marketing could be a force for social change. Not long after, I left advertising to join a business with a really progressive attitude to its role in wider society – The Body Shop. That’s where I got my education in socially and environmentally aware business and activism. The Body Shop were real pioneers in delivering their beliefs about a more just and fairer society throughout all of their business and supply chain. Body Shop founder Anita Roddick used to say that a business should be judged on how it treated the weak and the poor. Many things that are best practice now (for example, publishing social and environmental audits), The Body Shop was doing 30 years ago, and I learned a great deal from that and from Anita. She described herself as an activist first, and a businesswoman second, and I liked that. I’ve tried to speak out on issues I believe in as boldly as she did. Now in 2015, how has your view on sustainability changed? If I’m honest, I feel a bit jaded and bored when I read about ‘sustainability.’ It’s not so much that I prefer one ‘label’ over another, it’s the context in which sustainability is often talked about. Twenty years ago it was a shiny and wonderful concept adopted by people who wanted to change the world. Today, sustainability is mostly used by big business as an excuse to justify business as usual, and doing nothing new except a little token work that looks good in PR, but doesn’t address any of the fundamental issues in their business. Twenty years ago, success would have looked like big business getting to grips with changing the world too, not using sustainability primarily as a way to justify business growth in a more skeptical world, without making any real changes. Sometimes sustainability and business growth can go hand in hand, but not always, certainly not for tourism involving an international flight. Sustainability, by its technical definition, cannot be applied in this case. Regardless of what it’s called, I get really energised when I see entrepreneurs with a vision to change the world, as well as make money; activists exposing the lies of big corporations; and Government people who understand the positive and negative impacts of tourism and how to manage it. 20 years ago, I believed that the power of customers to change an industry was as great as Government’s. Nothing much has changed, except multinationals have got even stronger and governments even less powerful, so the role of conscious consumers is bigger than ever. 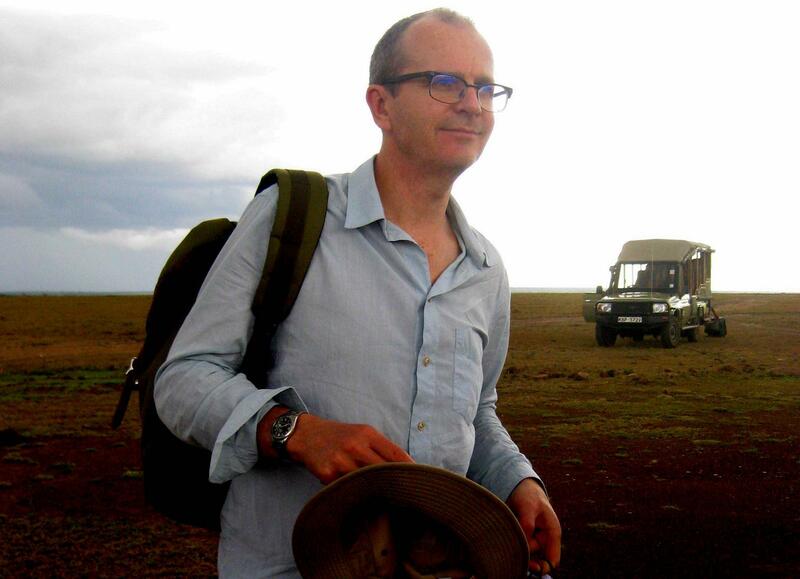 As managing director of travel agency ResponsibleTravel.com, where do you see the priorities in terms of sustainability? The priorities in sustainability are whatever local people in tourist destinations think they are. My view – or that of any other commentator – does not matter as much as theirs. The unique thing about our industry is that its product is the homes, lives, cultures & environments of local people. Aside from global warming, I think the idea of trying to address global problems in tourism is a false one (and a colossal amount of donor money has been wasted inventing and then trying to solve them). The impacts of tourism are different in different places. In parts of Kenya, water conservation is a huge issue, whereas in Ireland it’s not. Poverty reduction in Nepal is critical, in Norway it’s not. At one end of my street there are land-use conflicts between local people & tourists, and at the other end there are not. 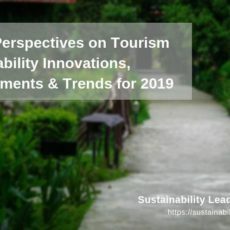 Change in tourism is happening in different ways, addressing different issues in different places, and is led by different people with different ideas but broadly shared goals. It is not uniform, or organised under some global rules, nor should it be. Any student of social change will find this is the way great things always happen. Having said that, I think one of the biggest issues in tourism is that it’s the biggest freeloader in the business world. By that I mean that generally a business has to pay for the natural and human capital it utilizes in making a product, before it’s shipped to a customer. In tourism, that customer travels to the product, and the product is the culture and environments of local people. Too often the tourist or tourism services pay nothing for this. Why did you decide to dedicate your work life to promoting responsible travel? I wanted to combine my love of travel with the desire to create a business that could be a force for good. I was very much inspired by Anita Roddick, founder of The Body Shop, for whom I worked (Anita became a seed investor in Responsible Travel). An 80-year-old village elder in Zambia gave me the final nudge, telling me to go home and bring back more tourists to help his village. Why did you found The World Responsible Tourism Awards back in 2004? I founded The World Responsible Tourism Awards partly out of a desire to give others a little bit of recognition and a pat on the back to some amazing people & organizations, and partly to help share their ideas. I think the groundswell of local initiatives being replicated or adapted is more important than trying to create some global framework for change. The Awards are held each year at The World Travel Market (WTM) in London and are part of a far bigger program of events and seminars. It is the biggest gathering of responsible and sustainable tourism professionals anywhere in the world. Reed Exhibitions, The World Travel Market and Harold Goodwin – who brings most of it together – deserve a great deal of credit for it. 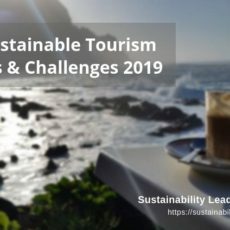 As responsible tourism entrepreneur, which are your main challenges? We market and sell holidays from 100’s of the world’s best small holiday companies, all of whom are committed to responsible tourism. The holiday reviews we get from customers are extraordinary, and that’s because our suppliers treat local people and their environments really well, and in turn they offer guests truly authentic experiences. Our focus is always on our customers, the quality of their experience, and ensuring that our responsible tourism standards are met. We also engage the tourists in giving us, our suppliers and other tourists feedback to improve the sustainability of the holidays we sell. Going back to an earlier point, I think tourists have vast potential to change our industry. They are voting with their feet and abandoning the staid package holiday that offers little in the way of discovery or authenticity. They are choosing to stay in the homes of local people to learn more about the ‘real place’ with Airbnb in vast numbers. My focus is on these trends in tourism and how they can benefit the responsible tourism movement and my business. Your (career) advice to newcomers to sustainable tourism business? When I told Anita Roddick from The Body Shop that I planned to start my own company, she got out a very large piece of paper and drew a line down the middle of it. She asked me to write the ‘conventions and norms’ of the industry down one side, then on the other suggested I find a way to do things different and break every rule. The travel and tourism industry has ‘coded in’ some very selfish and unsustainable behaviour. Understanding and breaking those codes, and developing a deep understanding of your customer, will lead to success. That and a great deal of belief and tenacity! Which (social) media do you follow for updates on sustainable tourism? I started a LinkedIn Group a few years ago, Responsible Travel & Tourism. We moderate it, but I can take no credit for what’s happened since, as the group members have essentially taken it over (which is how any good community should work). It now has over 15,000 members and is very active. I’m also a big fan of Twitter (@justinmfrancis) and the people I follow filter and share the most interesting stuff for me. Connect with Justin Francis on LinkedIn. More about his travel agency on responsibletravel.com. 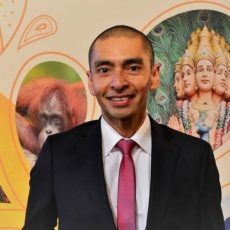 Enjoyed our interview with Justin Francis, founder and managing director of ResponsibleTravel.com? Spread the word!